The FiberCab XL - G & W Machinery Sales, Inc. The Vytek FiberCab XL is a jumbo sized laser marking station with the capabilities to handle a part size up to 36" x 36" x 36". The FC series is the most advanced, large format, industrial grade, fiber laser marking and engraving series available on the market today. 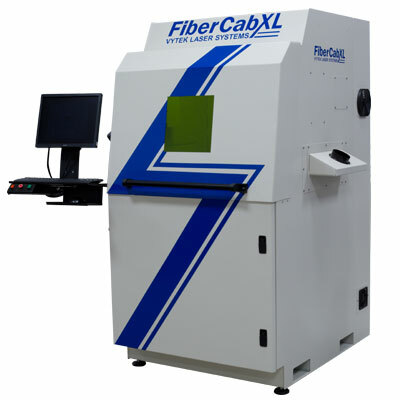 The FiberCab Series equipment is safe and service-free. It is designed to meet individual laser marking needs with the ability to mark a wide variety of materials including Direct Part Marking (DPM) of alphanumeric figures, logos, serial numbers, part numbers, lot and date codes, schematics, graphics, deep engraving and more. 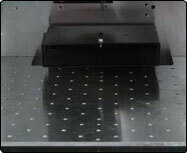 It can be delivered as a stand-alone system that can be integrated into any production line or a full turnkey workstation.